Bend It Like Beckham, Judi Dench and Robert Icke were among the winners of this year’s Critics’ Circle Theatre Awards, which celebrates achievements in 2015. Other winners included Martin McDonagh’s play Hangmen, actors Kenneth Cranham and Denise Gough, and designer Anna Fleischle. Dench received the best Shakespearean performance prize for her turn in The Winter’s Tale at the Garrick Theatre, London. The win comes 18 years after she won the best actress award for Amy’s View in 1987. Icke won the director prize for his production of Oresteia, which originally ran at the Almeida Theatre, London, before moving to the Trafalgar Studios, while Bend It Like Beckham – which closes in March – was named best musical. Cranham won the best actor prize for The Father, which had runs at the Ustinov Studio, Bath, the Tricycle Theatre, London, and Wyndham’s Theatre, and returns to the West End next month. Gough was named best actress for People, Places and Things. That production originated at the National Theatre and moves to Wyndham’s Theatre, London, later this year. Gough won the most promising newcomer prize in 2012 for Desire Under the Elms. She described the prize as “lovely” and added she was “pleased for what it means for the play”. Gough added that there should be more productions like People, Places and Things, in which she plays a recovering drug addict. “It is hugely challenging, but you can’t want to do this sort of role and then say it’s too hard. It’s what every actress dreams of and exactly the kind of role we need to see more of – a woman who is not there just falling in love with various men and having a breakdown when they leave,” she said. Fleischle won the designer prize for Hangmen, which also won the best new play award. 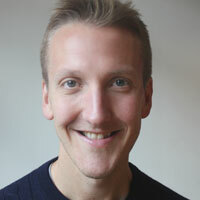 James Fritz was named most promising playwright, for Four Minutes Twelve Seconds, and the most promising newcomer award went to David Moorst for Violence and Son. Moorst won the emerging talent prize at the Evening Standard Theatre Awards. The awards were presented at a ceremony at the Prince of Wales Theatre.